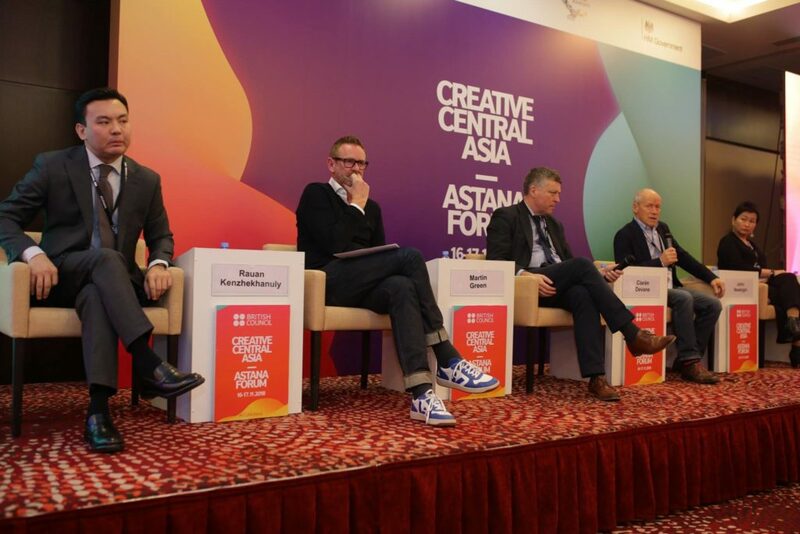 ASTANA – More than 100 cultural and creative leaders and representatives from Central Asia and the U.K. gathered Nov. 16-17 at the second annual Creative Central Asia forum in the Kazakh capital. While it has become popular to talk about creative industries, for many it is still a new term. 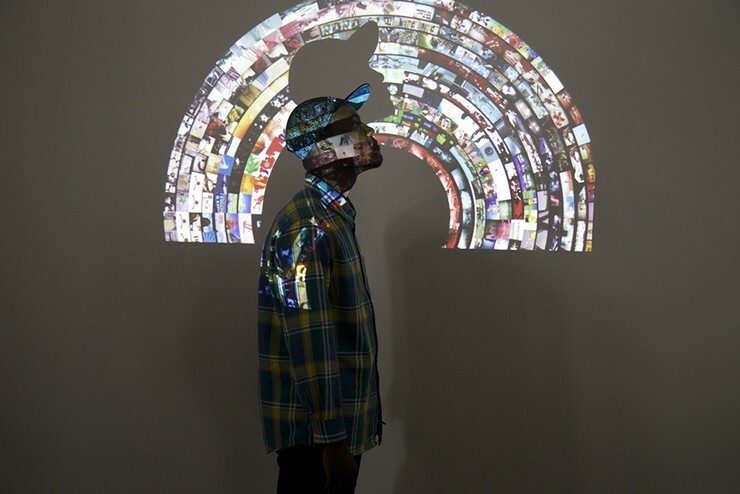 Creative industries, as a concept, have expanded from a traditional understanding of visual arts such as paintings, music and opera to a range of economic activities. In 2001, the British Department for Digital, Culture, Media and Sport (DCMS) expanded the meaning to industries based on individual creativity which have the potential to strengthen economic wellbeing and create jobs by generating knowledge through creativity. The opening discussion focused on the importance of national culture as a way to establish a creative society. Participants discussed how culture and identity can build the basis that will direct developing creative industries. “Our creativity comes out of our identity or who we choose to be that day. As an individual you get together with groups, then with cities and, then, with countries. You start sharing your identity and then defining and then releasing it,” said Martin Green CBE, Chief Executive and Director of Hull’s City of Culture. Martin Green CBE. Photo credit: Facebook page of British Council. Topics of discussion also included promoting the economy of the “old” and “new” culture, rethinking urban design and cultural heritage. The event organisers, the British Council with the support of Astana Convention Bureau of the capital akimat (city administration), sought to create an active network of leaders that will promote developing cultural and creative economy in the region. Kazakhstan supports the initiative, as it sees modernising its society as a long term priority policy. The nation envisions making culture an attractive investment area and source for enhancing new business initiatives. “Since the last forum, we have cemented our ties. 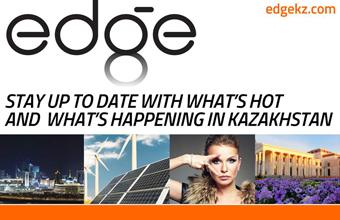 The British Council is backing eight joint projects in Kazakhstan so far. 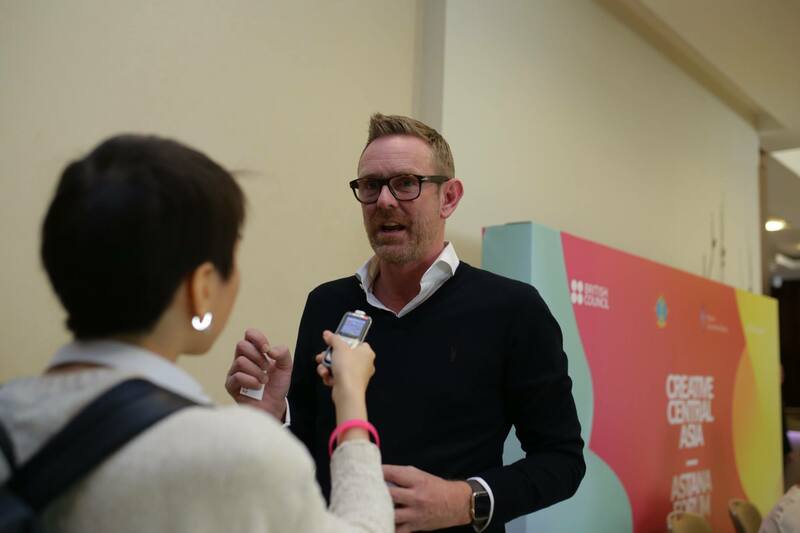 Kazakhstan and Great Britain are cooperating to develop creative economy at the ground level in Kazakhstan’s universities,” said British Council Kazakhstan Deputy Director Rowan Kennedy. The correlation of creative industries to economic and social development is high. According to 2016 research, creative industries such as cinema, video games, craft enterprises and publishing brought more than 84 billion pounds (US$107.64 billion) a year to the U.K. economy. Photo credit: Facebook page of British Council. “It is not a secret that Kazakhstan and Kyrgyzstan have many dying cities which used to be prosperous. I think the primary task for now is to restore the cities… We think that these are the secondary problems, because we have more important things [to care to] … But these cities are the loft cities that probably should be given to one of those creative groups of people… Maybe we should not sit, worry and cry, but use those new technologies. Why not? Why can’t we put them in the hands of creative people [as there is nothing to lose] and everything is falling apart? I think this is an opportunity for us,” Centre Polis Asia director and panel member Elmira Nogoibaeva told The Astana Times. The first Creative Central Asia forum was held last year in the capital. As a result, participants determined the discussion had to rely on exclusively subjective opinions supported by facts. Thus, a group of British and Kazakh scientists led by Andy Pratt (City University London) mapped out Kazakh creative industries. As of January, the research showed that 3.8 percent (17,581 enterprises) of all Kazakh registered legal entities could be classified as creative industries. It noted 42 percent of all are concentrated in the capital and Almaty, the nation’s two biggest cities characterised by fast growing population, higher employment and active entrepreneurship and showing higher productivity indicators.